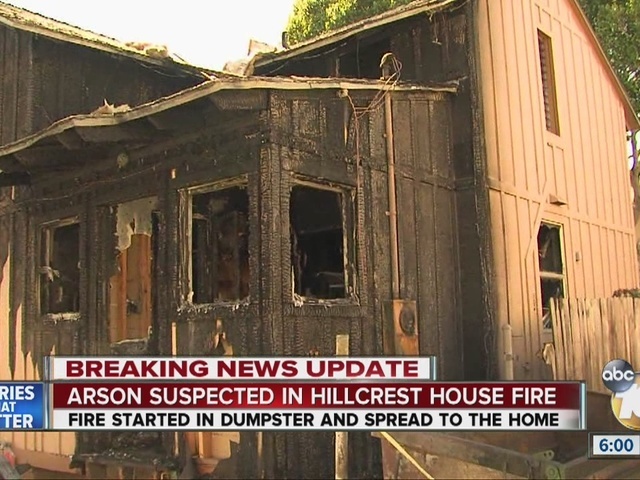 SAN DIEGO – A man’s quick thinking helped get an elderly couple safely out of their burning two-story home in Hillcrest early Tuesday morning. The fire broke out before 5:35 a.m. at a home at 3rd and Brookes avenues, according to San Diego Fire-Rescue dispatch page. Mr. Rooth told 10News his wife awoke him up when she discovered the fire in their home. According to SDFR, the fire started in a dumpster and spread to a wall of the home. "My wife woke me up and said the dumpster in the corner is on fire," Rooth said. 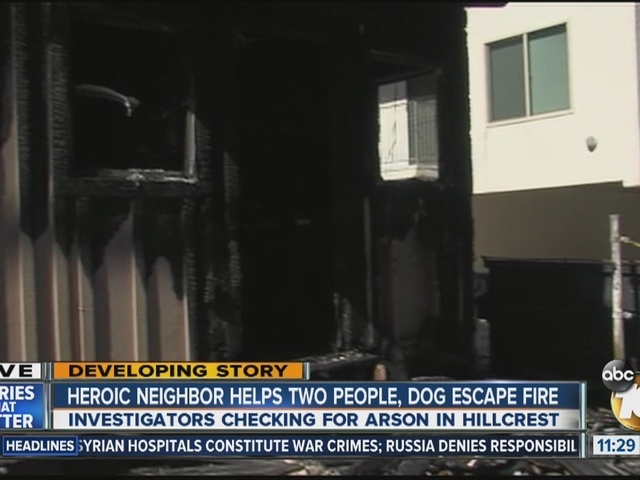 The two initially searched for their two-year-old Dachshund, but the smoke became too much and they ran downstairs and tried to exit the front door. “And I was trying to open the door, and couldn't get the right key because it was dark,” Rooth said. At that point, a friend and neighbor of the couple arrived to the rescue. “So he said, 'stop it, stop it.' He came through, he then smashed the window so we could jump out the window. At that time the smoke was very heavy." No one was seriously hurt. The couple’s small dog was found with smoke inhalation. After receiving oxygen from San Diego Fire-Rescue crews, he was taken to a nearby veterinarian. Rooth said the fire was contained to the bottom floor. The cause and circumstances of the fire were not confirmed. The extent of the damage was also not immediately clear.